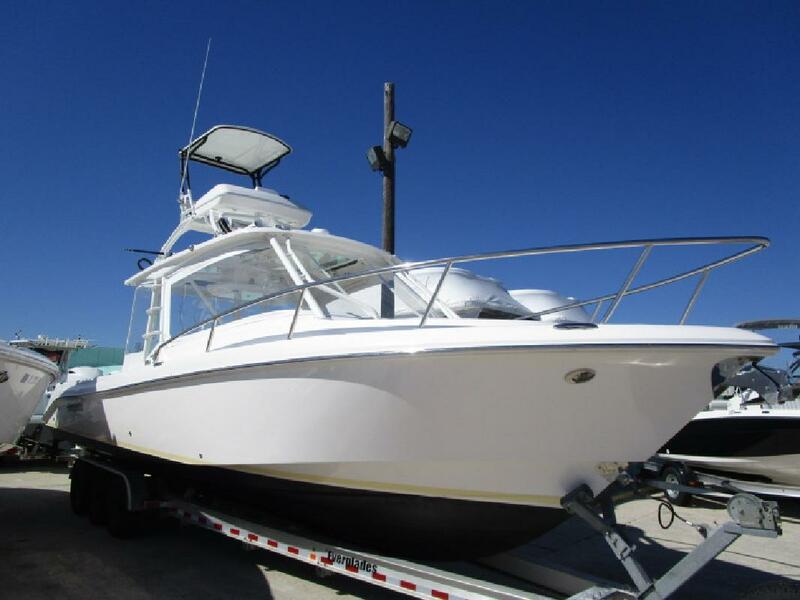 2013 Everglades 350 LX, Triple Yamaha 350s, No Trailer, Deluxe Audio, Dual Garmin 5212s, Garmin VHF 200, Upper Station, 4 Optima Batteries, Fresh Bottom Paint, Stainless Steel Props, Side Utility Door, Bow Tow Eye, Garmin Autopilot, Galley w/ Microwave, Genset, A/C, Full Custom Hard-shell Eisenglass Enclosure, V Berth and Aft Berth, Battery Charger, Windlass, Recent Annual Service and MoreFinancing Available. We accept trades. Call us or send an inquiry to get more info. Every New and Used boat is put through a series of checks and inspections to prepare your boat for the water. This is a crucial step in insuring that you will enjoy your new purchase to the fullest. Information is subject to errors and changes without notice.